Witching Hour Gradient with Sinful Colours, China Glaze and Julep! This look started out with a cool evening gradient using Sinful Colors Black on Black, China Glaze Man Hunt and Sinful Colors Let's Talk. 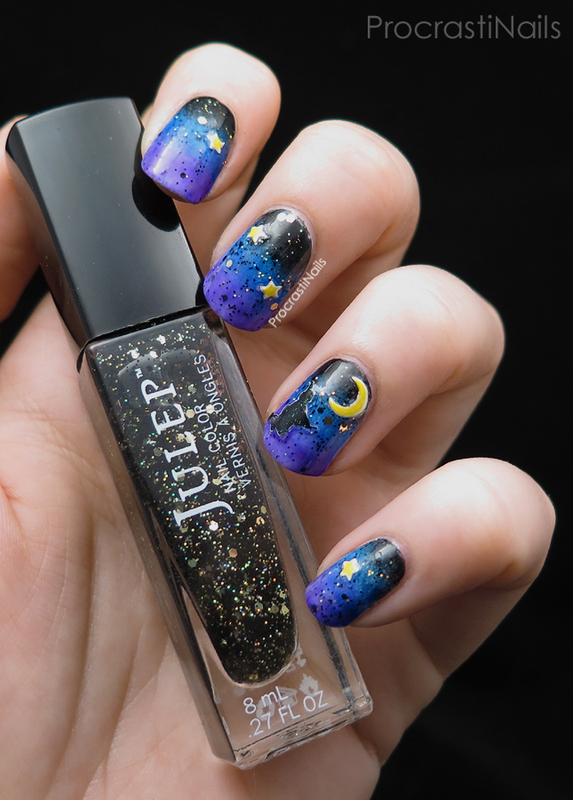 I added a layer of Julep Beatrix to give the impression of some stars to my evening sky, and then used some 3D nail decals to place my witch, moon and stars across the nails. The colours in this gradient make me happy and I'm super satisfied with the final look. I don't use Beatrix that often but I definitely think I'll need to pull it out for my next galaxy look! Heel to toe love it. Gradient is gorgeous. Witch is cute! Stars and moon are precious. Perfect Halloween mani! This looks so freaking awesome! Great job! These are so cute! 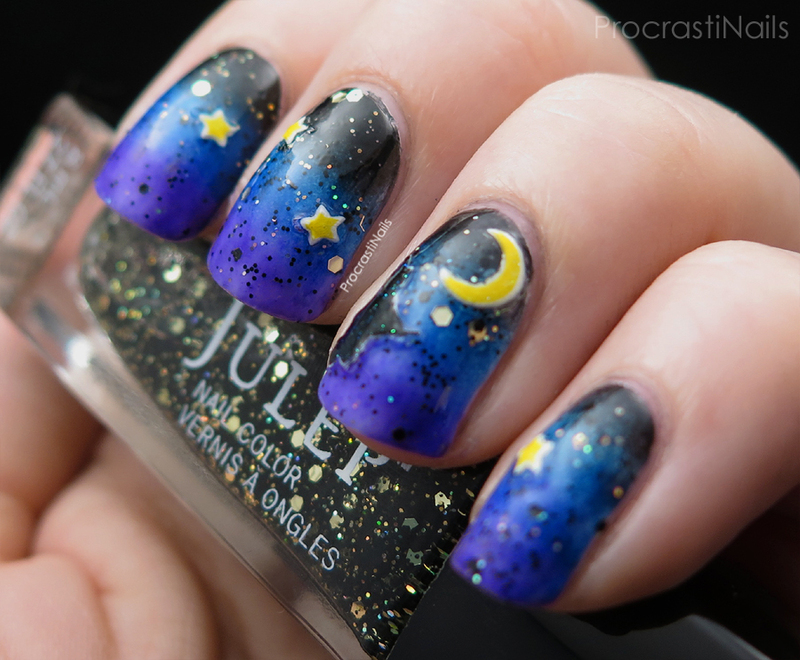 Love the whole scene on these nails. This is so gorgeous and ethereal and I love how this has a 3D effect to it! I can't get over the moon, it really adds the perfect touch! 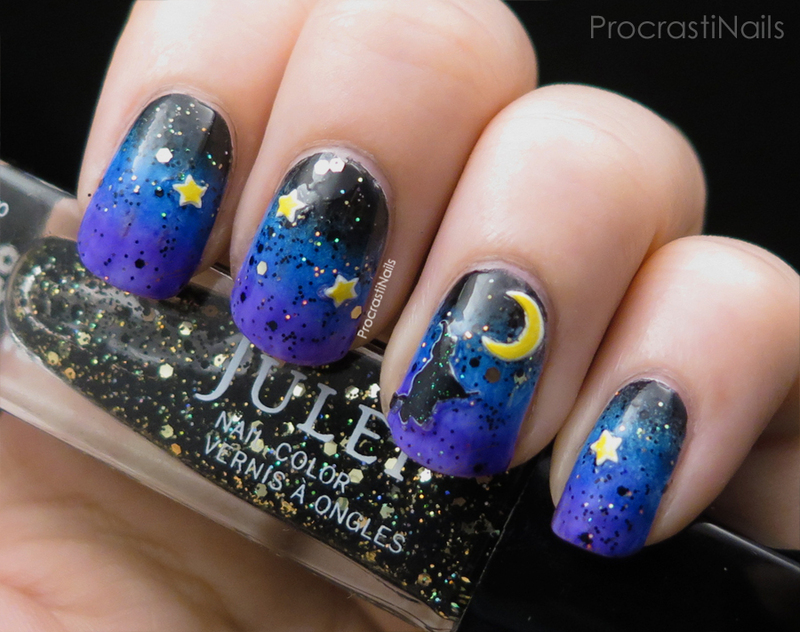 What a beautiful mani! Looks so great! This looks awesome!! I love the gradient with the glitter, it's gorgeous! 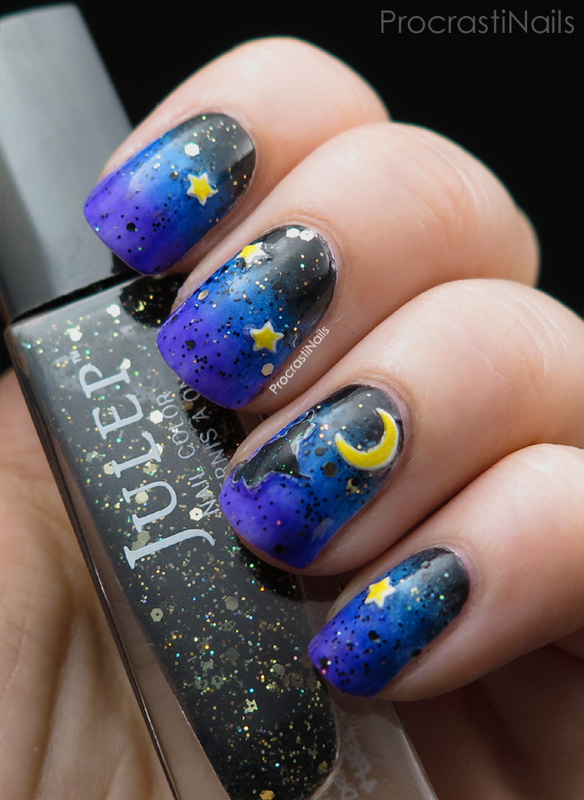 I adore this mani! Such a fun twist on a Halloween mani!